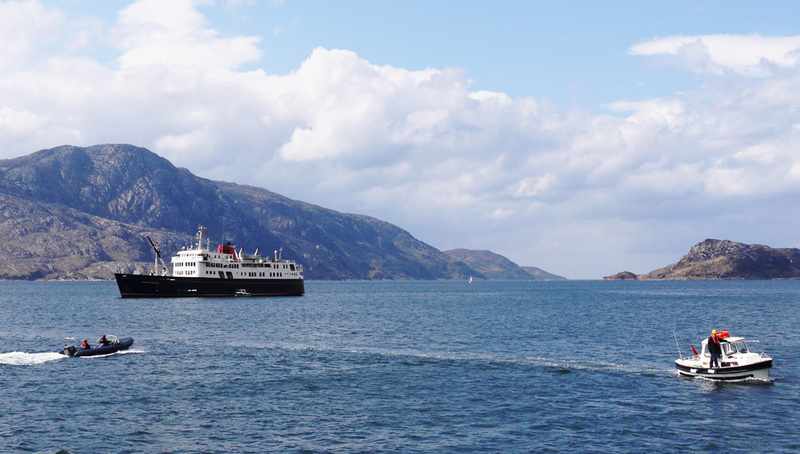 We know of no ship quite like this one; a tiny little gem, dedicated to Scotland and all things Scottish, this Princess is fit for a queen! 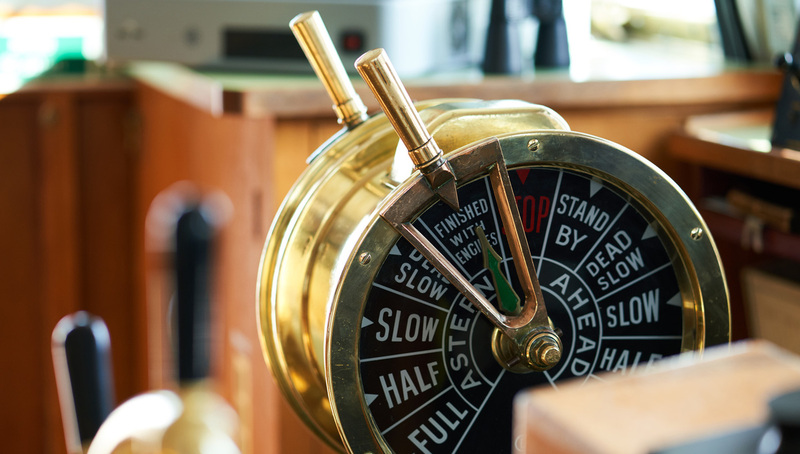 A single ship with just 50 guests and in operation for only nine months of the year - hardly viable in the modern day, you would think - and when you step aboard you will also feel as if you have been swept into a bygone age, when kindness was key. A one word descriptor? Charm, perhaps. But that only begins to cover what is special about Princess. 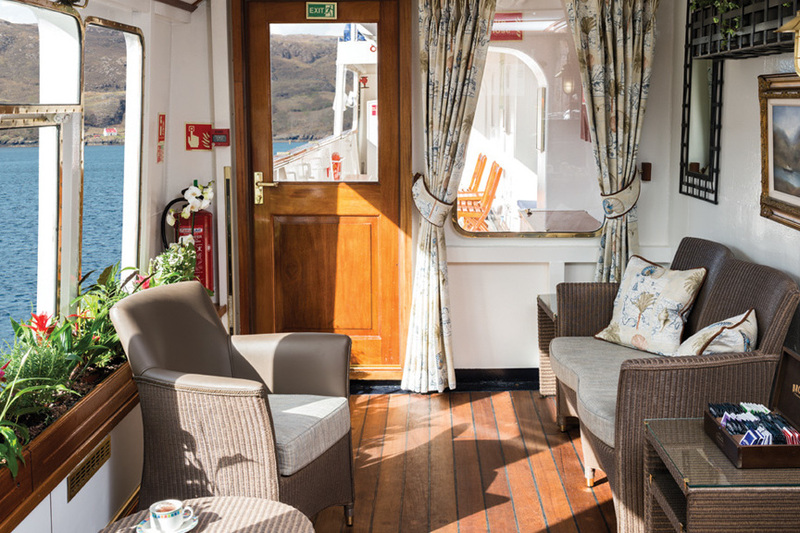 Like a cosy and comfortable pair of slippers, Hebridean Princess envelops you the moment you step aboard. It feels like your best friend's welcoming Scottish home - with food and drink to match. 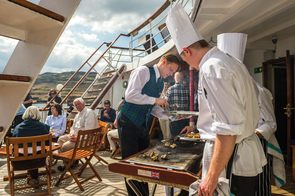 Dining is very important on Hebridean Princess and a strong Scottish influence prevails, from the perfect porridge at breakfast to the address to the haggis at the gala dinner. 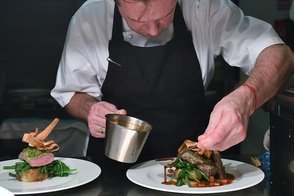 An inviting space with plenty of tables for two and a welcoming party table for those travelling alone, hosted by one of the Ship's Officers, the Columba Restaurant serves local specialities and classic dishes using the finest ingredients. 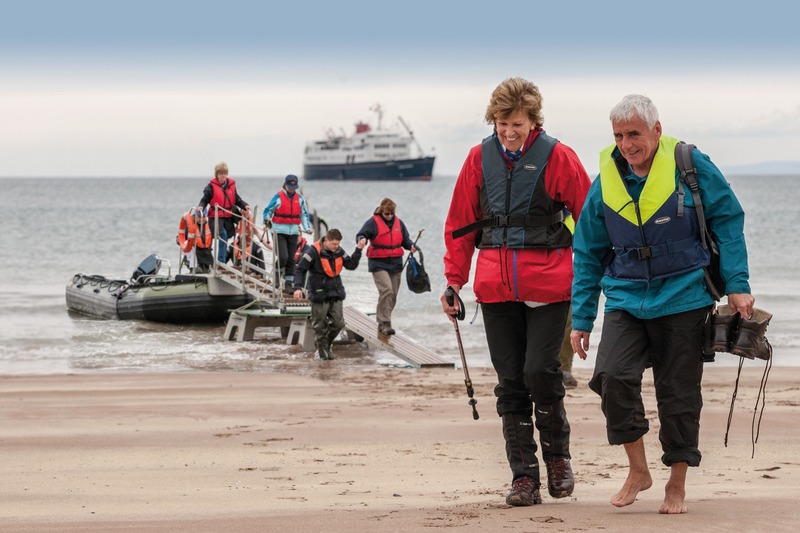 Scottish weather is unpredictable, but with the right clothes you can always enjoy your time outdoors. On a fine day, this is further enhanced by barbecues and picnics on deck and ashore. 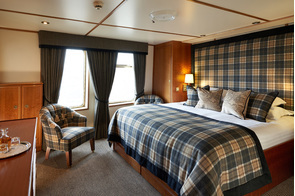 A tiny ship with a warm welcome, the intimate Hebridean Princess is sociable and relaxed at any time of day or evening. 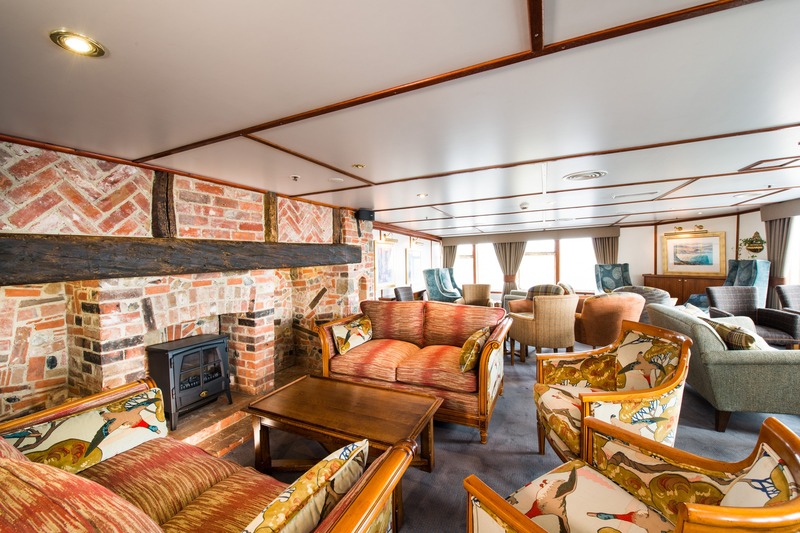 With a house party atmosphere and cosy style, Hebridean Princess is full of peaceful corners, and sociable seating areas. The home-from-home feel of the inglenook fireplace in the Tiree Lounge sets the tone, and here you can relax and chew the cud with your genial fellow guests. Comfy cabins beautifully decorated in a welcoming country house décor are cosy and inviting. Nobody carries a key but your privacy is assured. If space is important to you, go for this suite with large day room and spacious bedroom, with picture windows for spectacular views, and plenty of storage space. 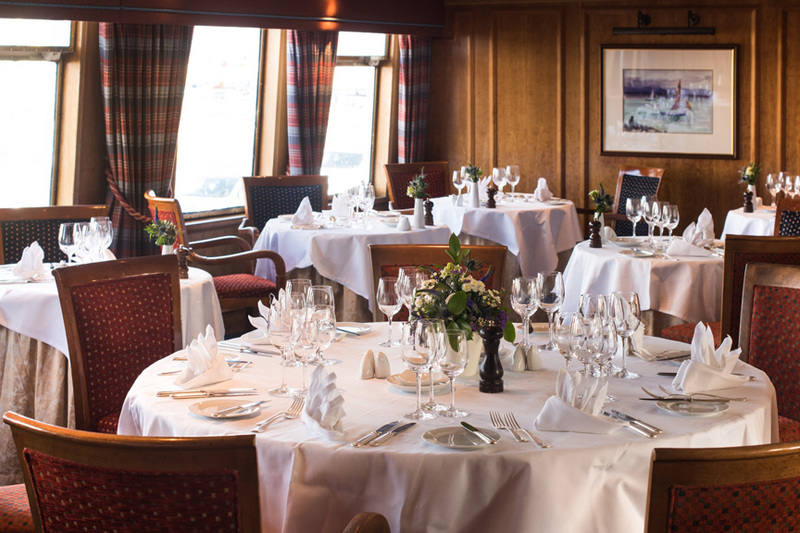 These roomy cabins on Promenade deck have a private balcony with teak tables and chairs - a great place to sit out and enjoy the breathtaking landscapes. A generous sized bathroom features full-size bath and a thermostatic shower. 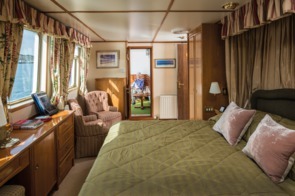 These roomy cabins on Princess deck have a private balcony with teak tables and chairs - a great place to sit out and enjoy the breathtaking landscapes. A generous sized bathroom features full-size bath and a thermostatic shower. 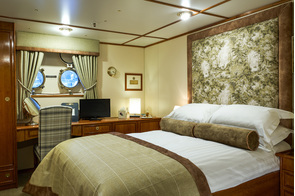 These comfortable cabins are fitted with a comfortable king-size bed, convertible into twins. Large picture windows are perfect for watching the landscape unfold. The spacious bathroom contains a full-size bath with a thermostatic shower. 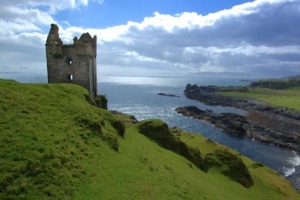 Excellent value for money, the Isle of Danna is tucked into a quiet corner with a king-size bed, which can be converted into twin beds, and two comfortable chairs from which to enjoy panoramic views through full-size picture windows. These elegant little cabins on the Waterfront Deck are connected by a flight of stairs to the Princess Deck, offering easy access to the embarkation area on the same level for the small boats when going ashore, with portholes to check the weather. 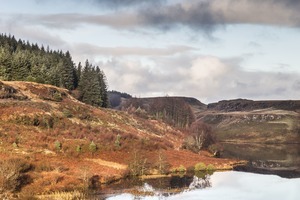 A spacious bathroom has a full-size bath and a thermostatic shower. 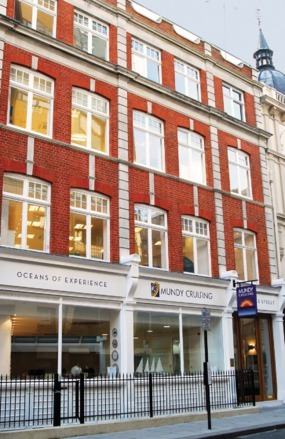 Intimate double-bedded cabins offering high levels of comfort and sea views. Charming little cabins that can be set up with king or twin beds. Although there are no windows or portholes, fresh air is circulated day and night by the ship's forced air ventilation system. With a charming home-from-home feel for the single traveller, lovely sea views ensure that this category is much in demand. Roomy single cabins, fitted with two opening portholes. 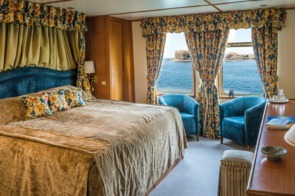 A single staircase links these rooms to the Princess Deck, with direct access by a flight of three steps to the embarkation area for the small boats when going ashore. 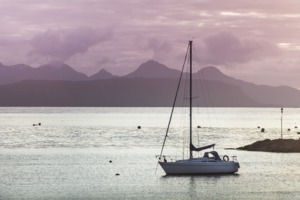 Charming, well-appointed cabins, located on the starboard side of the Hebridean Deck, offering a spacious bathroom and a full-size bath with a thermostatic shower (Loch Scresort, shower only) . As they are not fitted with windows or portholes, fresh air is supplied by the ship's forced air ventilation system. 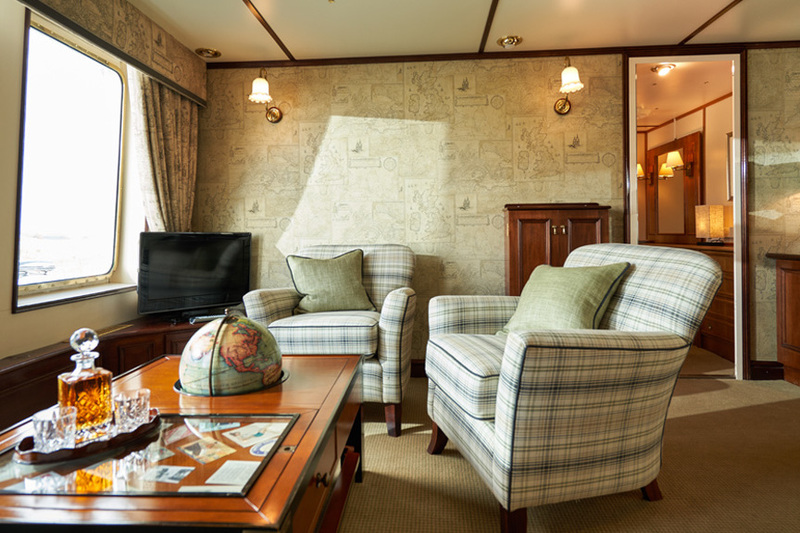 When you step aboard Hebridean Princess you step into a cosy, comfy home from home with a house-party atmosphere. 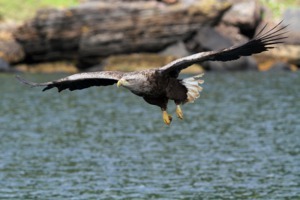 Lecturers and tour guides on board ensure that your experience is interesting and enlightening. Occasionally a local entertainer will come on board, and you will sail to the sound of the pipes. On a particularly lively evening, frog racing may occur (you have to be there!). 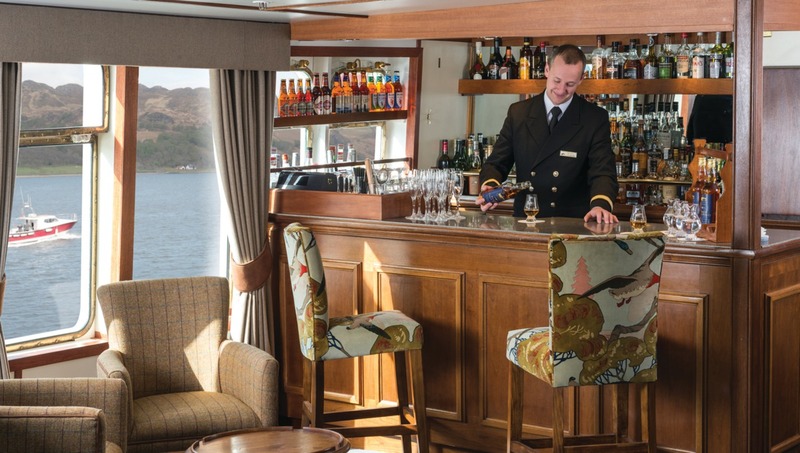 Comfy loungers and chairs enable to you enjoy being out on deck on a fine day, and Hebridean's little boat whisks you ashore to explore. The lookout lounge, conservatory and library all offer quiet corners to read or watch the world go by. There is a tiny shop by reception for local souvenirs, and there is some gym equipment by the loading bay on the waterfront deck. As far as facilities go, that's your lot; and somehow you may well find, as we do every time we sail on her, that that's all you need!